On September 24, Pin-Up magazine founder Felix Burrichter makes his debut as a curator with “Pavillon de l’Esprit Nouveau: A 21st Century Show Home” (through November 8). 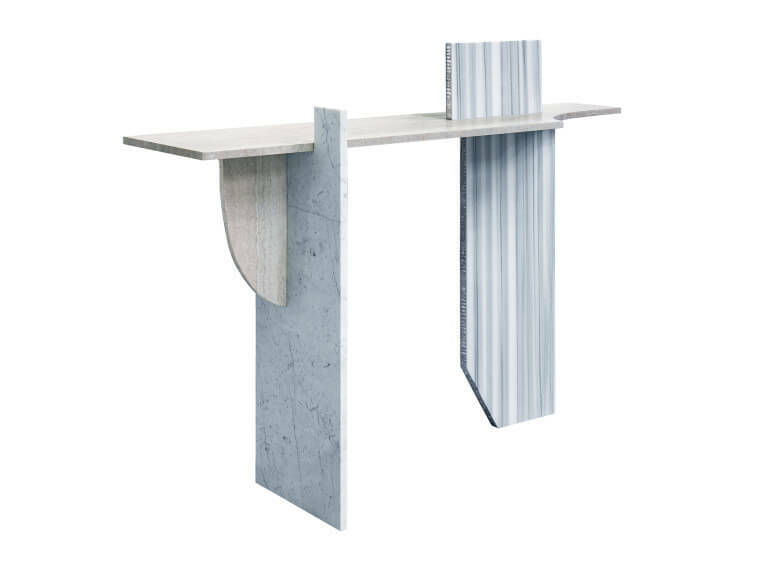 The show, at New York’s Swiss Institute, is named for Le Corbusier’s groundbreaking installation at the 1925 Paris Exposition des Arts Décoratifs and focuses on designers who are rethinking fabrication, like Robert Stadler (his marble and aluminum console seen here), Joris Laarman, and Max Lamb. Designed to be a show-house for contemporary living, the tongue-in-cheek exhibition is set against a green-screen backdrop, which the home’s theoretical inhabitants could presumably switch at their leisure. The effect is one-part sci-fi and one-part Hollywood. Maybe this is contemporary design’s fifteen minutes?